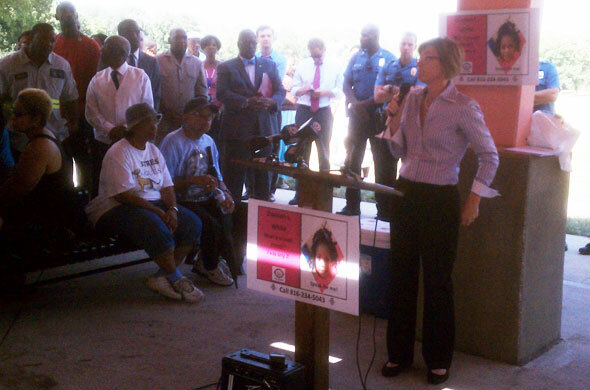 Police, victims’ families, the prosecutor and the mayor on Wednesday called for someone to come forward with information on who shot to death a woman and her infant daughter. 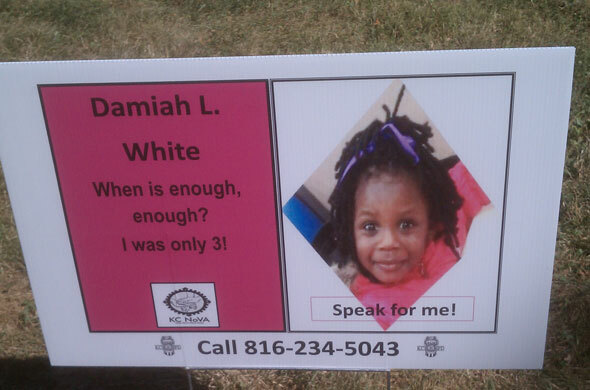 The rally was at Blue Valley Park under a shelter freshly painted pink, the favorite color of 3-year-old Damiah White. She and her mother, nursing student Myeisha J. Turner, 28, were found dead Aug. 23 at their nearby home at 55th and Wabash streets. He asked people not to tolerate a baby killer, to come forward. Damiah would have turned 4 in a week, he said. And he read a letter from the victims’ family. “Damiah does not step on our hearts but she stomps on our hearts,” they said, and “someone knows, someone knows” who killed the infant and her mother. Jackson County Prosecutor Jean Peters Baker said society needs help putting away whoever did this. “Pick your side – where are you going to be, with Damiah and Myeisha or with their killer,” she said. Mayor Sly James said the killer or killers should not walk among us but being angry is not enough. He wants the shelter to stay pink until whoever did it is behind bars and maybe even stay pink permanently, he said.